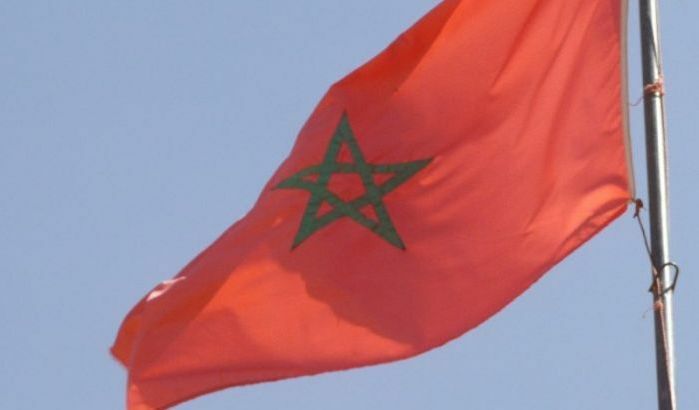 A pro-Polisario activist, Ould Laâroussi, who pulled down the Moroccan flag from the top of the Kingdom’s Consulate in Bordeaux, will stand trial at a French court to answer for his outrageous act on the symbol of a sovereign State. Ould Laâroussi, an activist of the Algeria-backed separatist Polisario, will be brought before a court of Bordeaux to answer for his acts, Moroccan news portal “le360.ma” reported, quoting judicial sourceqs from Bordeaux. The Polisario activist tried to tear down the Moroccan flag during a sit-in organized on Thursday (August 3) in front of the Moroccan Consulate in Bordeaux, in solidarity with the criminals of Gdeim Izik camp, who were recently condemned by a Moroccan court to various prison sentences for the killing of eleven elements of the Moroccan police in November 2010. Ould Laâroussi entered the Moroccan consulate premises and climbed up to the terrace to pull down the Moroccan flag. The defendant will be condemned by the French court and also risks expulsion from the French territory for violation of the immunity of a diplomatic mission of a sovereign state. Most of the so-called “Sahrawi refugees” who manage to flee the Tindouf camps, set up in southwestern Algeria, with an Algerian passport, seek refuge in Spain or France and often settle in these European countries with the help of NGOs and local associations. But these expatriates, who rarely manage to integrate into their new host country, often continue to serve the Polisario’s lost causes. In return, they receive from the separatist front or from the Algerian intelligence agencies small sums of money for the missions entrusted to them.